Changes in technology and data analytics has significantly impacted how insurance companies underwrite and price workers’ compensation policies. As a result, the experience modification factor does not have the same level of influence on pricing. 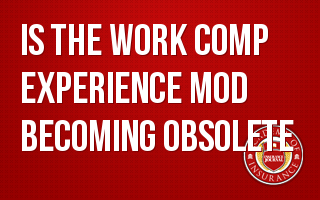 In addition, the experience mod may actually become a barrier to insurance companies to make offers and write the account.